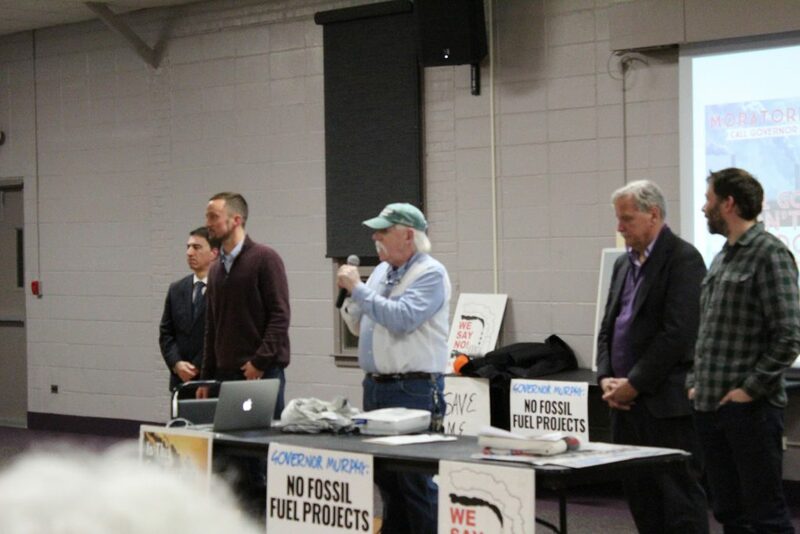 State legislators joined environmental groups to blast the construction of new fossil fuel facilities in New Jersey. 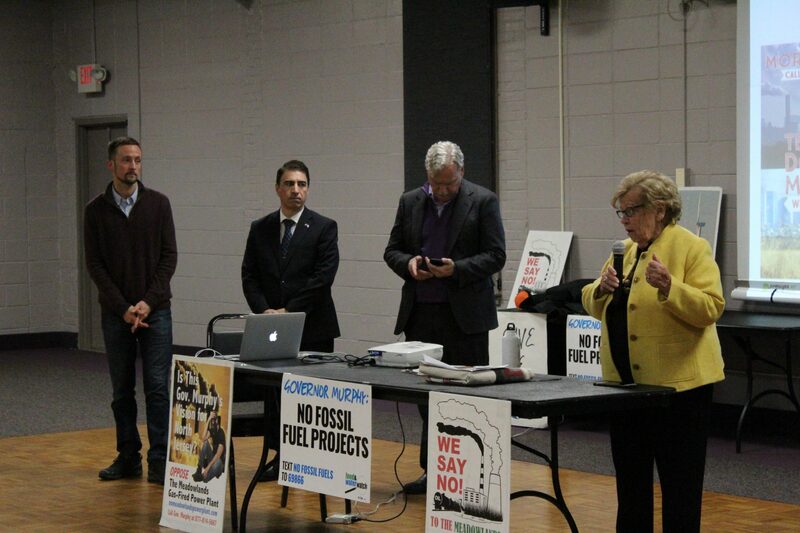 Senator Weinberg made her position known to those who came out to talk environmental policy. Hackensack Riverkeeper's Captain Bill Sheehan spoke at the event. A cluster of environmental organizations calling themselves the “Don’t Gas the Meadowlands” coalition gathered at the Ridgefield Community Center on March 21 to speak with a few hundred Hudson and Bergen County residents opposing the proposed North Bergen Liberty Generating (NBLG) plant. The coalition includes Food and Water Watch, Hackensack Riverkeeper, and the New Jersey Sierra Club. These organizations are also under the umbrella group, Empower NJ. Empower NJ is calling on Governor Phil Murphy to place a moratorium on four new power plants and eight pipelines in New Jersey in the wake of the state’s re-entry into climate agreements. The environmental group has endorsements from state officials, including Assembly members Gordon Johnson, Clinton Calabrese, and Valerie Huttle, and Senate Majority Leader Loretta Weinberg. Forty-nine towns in Bergen County have adopted resolutions opposing the plant since it was proposed. Union City’s Board of Commissioners was the first in Hudson County to oppose the plant in a resolution, but they rescinded that resolution less than two weeks after it was adopted. While it is alleged to become the second-greatest emitter of greenhouse gases in the state, the NBLG plant will burn fracked natural gas at a rate that is 34 percent more efficient than the average plant of its kind, according to proponents. The plant will generate 1,200 megawatts for New York City’s grid, from a location in an industrial zone adjacent to the Hackensack River. The site is a mile from the Bergen Generating Station in Ridgefield, which currently tops the charts as New Jersey’s greatest source of carbon emissions. In 2017, Ridgefield Mayor Anthony Suarez was the first elected official to oppose the plant. Activists are gearing up for a series of public hearings on the plant’s applications for Clean Air Act permits toward the end of the year. The Clean Air Act permit is the most definitive approval that the plant can receive, having already passed a round of approvals in land use and impacts on water quality. According to North Bergen spokesman Phil Swibinski, township officials are still negotiating a high-paying PILOT (Payment in Lieu of Taxes) plan that will generate millions in revenue for the township. The PILOT plan would be permanently fixed, even after construction. Swibinski said that the revenue generated for the township would be much greater than what other industrial projects would provide North Bergen. While negotiations are still going on, Swibinski said it would be safe to anticipate several million in yearly revenue for the township. In the meantime, North Bergen doesn’t have any regulatory authority over the plant’s land use, emissions, or other environmental impacts. The site is in an industrial zone. The plant did not need to apply for any kind of local-use variance. According to a fiscal analysis submitted by consulting firm AKRP, the years in which construction takes place will result in 620 construction jobs on site for five years. After the construction is complete, the number of jobs the plant will support drops to 33 highly-skilled positions. Labor unions, on the whole, support the opportunity for the $1.8 billion construction gig. Aside from the PILOT plan still under negotiation, the project’s construction will generate about $10 million in state taxes, according to the fiscal analysis. Sales taxes will generate an additional estimated $2.78 million yearly for the state. Gov. Phil Murphy has frequently discussed bouncing back from budgetary and policy rollbacks in environmental protection, held over from Gov. Chris Christie’s administration. Murphy, a Democrat, brought New Jersey back into the Regional Greenhouse Gas Initiative (RGGI) and the Paris Climate Accord after his Republican predecessor pulled the state out of it. In order to adhere to those agreements, the state has a few decades to drastically reduce greenhouse gas emissions. According to Empower NJ, the 13 fossil fuel infrastructure projects currently proposed in the state will increase New Jersey’s statewide emissions by more than 30 percent. Murphy also put out a series of executive orders passed in August of 2018 which call for the DEP to create a new energy master plan that requires the state’s energy infrastructure to be 100 percent renewable-based by 2050. Though that executive order specifies energy consumed by and not exported from New Jersey, environmentalists say exported energy should be evaluated. 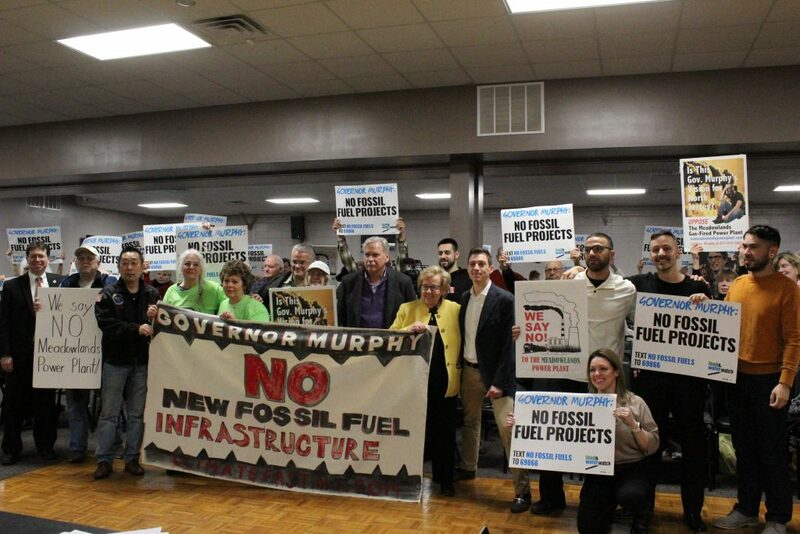 A reporter from NJ Spotlight said that Muprhy was opposed to two of the 13 fossil fuel projects that Empower NJ has been rallying to stop. “As for the North Bergen gas plant and the expansion of the Raritan pipeline, Murphy said he has concerns. “When you’re adding up balls and strikes, the fact that the energy is going to New York and not New Jersey is a strike.” But, he said, there are processes in place that must be let play out,” Keough wrote in a later edit. Spokespersons at NBLG claim that New York City’s electric grid will be at a deficit, and that the 1,200 megawatt output is necessary to stabilize that power supply. However, studies by the New York Independent System Operator (NYISO) and the New York Public Service Commission evaluated the necessity of NBLG for New York City’s grid. According to the NYISO reports, three gas-fired plants scheduled to come online before NBLG does will provide the necessary output to keep the city’s grid above capacity. Food and Waterwatch spokesperson Matt Smith lambasted a deal the plant made with Bergen County’s Utility Authority: it proposed the use of wastewater to cool the plant’s turbines. Speakers at the rally talked about the Regional Greenhouse Gas Initiative (RGGI) policy’s role in an area where ground-level ozone levels landed the county an “F” rating from the American Lung Association. While a crediting system puts a cap on statewide ozone emissions, RGGI policy doesn’t prevent ground level ozone emitters from being concentrated in one area in New Jersey. With opponents targeting the state’s 13 proposed plants and pipelines, public hearings on Clean Air Act permits are certain to be the hottest tickets in town.